Developing a website needs you to be adept in HTML coding, at least, in the basics. While we all may make mistakes, these errors can be really frustrating at times. Especially, if you don’t understand where you are going wrong. That’s when you need an HTML editor that can help you with the coding error-free. The best part about these tools is that they will not just help you with the coding, but also assist you with many other tasks. So, whether you are a beginner or a pro, you would need an HTML editor to keep your code working and spotless with minimum efforts. 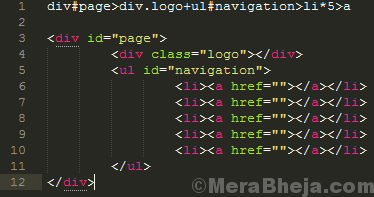 There are two variants of the HTML editors, WYSIWYG and textual. Here, in this post, we have listed some of the best HTML editors for Windows for your review. 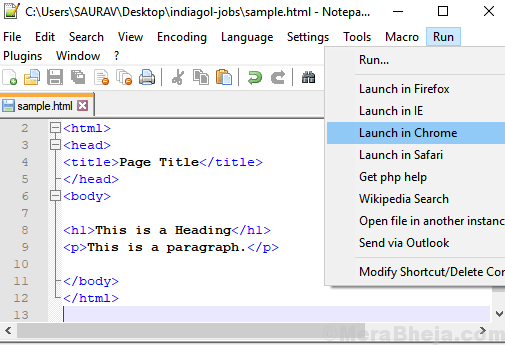 Notepad++ is one of the most Popular HTML editors for Windows that’s an alternative for the usual Notepad. It is a widely used HTML editor which is completely Free and very easy to use with very useful Inbuilt features. It also supports multiple languages, is controlled by GPL license, and functions in the MS Windows environment. 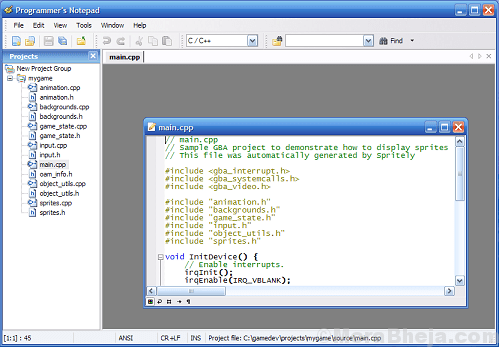 Written in C++, it works on Scintilla, the dynamic editing component function. Sublime Text is freemium that makes sure the program is updated at all times. To get access to all the features, you need to buy a license. The free version allows you to add plugins developed by the community or you can even build a custom plugin. The “Goto Anything” feature allows you to launch files in only a few keystrokes and straight skip to symbols, lines or words. It automatically produces an index across the project for each class, technique, function, with the help of syntax definitions. Moreover, using the program you can make multiple changes at once instead of only one change. The Command Palette function, on the other hand, consists of features that are not used so often, such as, sorting, modifying the syntax, and adjusting the indentation settings. You can search for almost anything in just a couple of strokes. It also features a dynamic Python based API that pushes the plugins to raise the integrated functionality. Besides, you are allowed to customize almost anything like the menus, macros, key bindings, snippets, and more. If you are looking for a free and open source HTML editor, Atom could well be it. Brainchild of the GitHub team, it allows developers to edit, change, share, or exchange the source code of the program. 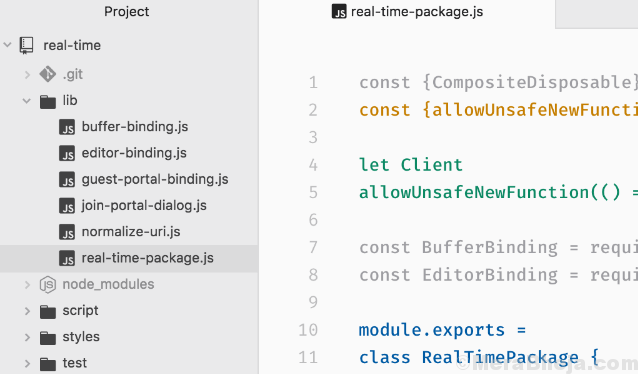 At the same time, developers can also create their own packages to optimize Atom. It’s a cross-platform software that works on all major platforms and allows you to look for and install new packages. Additionally, you can write codes much faster using a slick and adaptable autocomplete. You can also browse and open one file, a complete project, or several projects in a single window. What’s more? You can even divide your interface into several windows that help to compare and edit across all files. Besides, it also allows you to search, preview, and change texts as you look for a file or throughout all your projects. CoffeeCup is an advanced HTML editor that’s known for its useful tag references, or responsive utilities such as code completion. It also equips you with website basics that update straight away on all pages, live previews, and more such tools. It’s a unique editor that offers a seamless workflow for adding analytical data using Website Projects. It also helps you to preview in a click, highlight related codes, and more. Besides, you can also edit components that get updated anywhere hence, saving your time. Basically, it comes with an extended range of options that help create your website blazingly fast. While you get the right tags at your fingertips using the Tag Reference, the split-screen preview helps you view the webpage shown exactly below the code. For those looking for a dynamic yet a simple tool, Komodo Edit is just what you need. It also offers plenty of advanced features like unit testing, code refactoring, or debugging, while it also works with Gulp, Vagrant, version control systems, and more. The editor highlights any changes that are unsaved, and any independent SCC changes using a margin. You are even allowed to divide a session into two panes or multiple panes and edit side by side. The program enables you to select different positions within it, in order to reflect all the changes made in one position to all the chosen positions. Highlighting of variables, an automatic trigger of snippets by typing an abbreviation, code folding or block editing, adding snippets with abbreviations, or automatic indenting of codes, are some of its other major features. One of its other important function is the built-in debugger that enables you to set breakpoints, analyze variables, and even manage execution. What’s more? You can even place your projects under the Git source control smoothly. It also allows you to connect with team members using merge, or push and pull features to remote libraries. Moreover, it allows you to access a terminal quickly to implement the OS commands and language tools (gem, rake, and more). As it’s called, the Programmer’s NotePad, it’s suitable for the programmers. It comes with a simple yet latest interface that features syntax highlighting for convenience. While it allows you to use the text clips for adding texts quickly and easily, it also features functions like code folding or outlining. From offering flexible support for regular expression or access to code navigation with the help of Ctags to the inclusion of projects that help you access large code bases; it’s designed for all your basic requirements for HTML coding. As a bonus – it also extends support for Python or C++. If you are someone who’s involved in a lot of coding, Eclipse provides a platform to you for open collaboration and innovation. It’s especially suited for those who code on different platforms in multiple languages. The program provides a fully-fledged and a scalable environment that’s also commercially inclined. Eclipse is chiefly available as plugins from where you can pick the one of your need and apply it into your project. Adobe Dreamweaver CC helps you create intuitive websites, quickly. Using this program that offers smart and simpler coding engine, you can build, code, and publish websites and web applications effortlessly. It also lets you access code hints that help you to learn and edit languages like HTML, CSS, etc. swiftly. In fact, you can even get your website functioning quicker with the launch templates that can be easily customized to create HTML emails, blogs, portfolios, newsletters, and more. The program helps you to create intuitive websites that fit any screen easily. You can even preview your websites and edit in real-time ensuring that your web pages appear and function as per your desire. What’s more? You can also enlarge your work area by making your pages appear on different monitors. Integration with CEF (Chromium Embedded Framework) and easy collaboration with Git support are some of its other significant features. 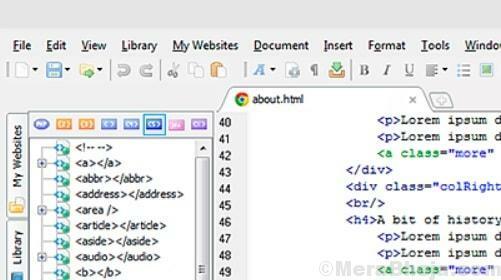 This free and open source HTML editor helps you develop web applications for desktop and mobile platforms quickly and easily. 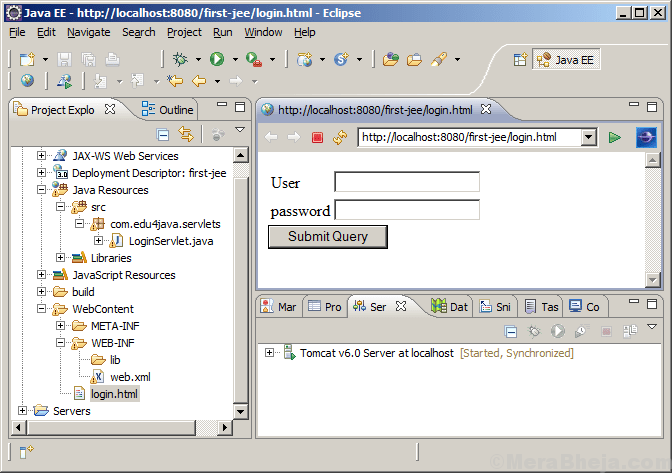 The program uses different languages for the purpose that includes, HTML5, C/C++, PHP, and more. Its fast user interface offers a smart development environment. It further offers much more than just text editing with features like highlighting source codes syntactically and semantically using useful and dynamic tools. Moreover, it offers a wide range of editors, templates, and wizards that assist you in developing Java, PHP, or other language-based applications. 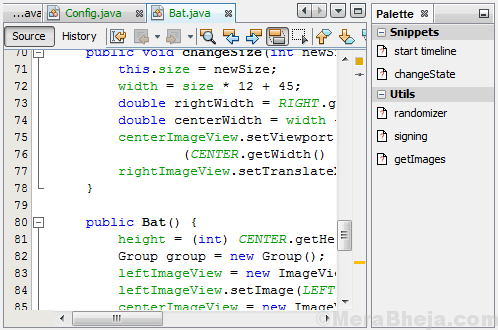 It’s a cross-platform tool that works with all major platforms supporting Java. From helping you to write error free codes or offering an easy and efficient project management platform to a wide range of plugins at your service, there’s a lot that it can do. If you are looking for a dynamic HTML editor that can do a lot, SynWrite can well be the option. It blends innovative ideas collated from different popular editors into one platform and makes it freely available. Whether you are a writer, web designer/developer, or a coder, it offers a complete environment for all. Macro reading, regular expressions, code folding, multi-caret editing, and code highlighting are its major features. It provides support for close to all encoding systems like the Unicode, ASCII, and more. Moreover, it allows you to extend the editor with plugins effortlessly that are written in Python. Best of all, it can be customized based on your needs and can also be transferred to a USB flash drive and carried along. This visual IDE platform assists web developers and coders to get hands on with the developing web applications or mobile and desktop applications. It offers a swift loading time and improved performance that helps you to work faster using your preferred languages like Python, C/C++, Visual Basic, etc. Phase 5 is a time-honored html editor from Germany that comes loaded with all the standard features and more. This free editing tool offers features like TAG completion for HTL commands, html forms, custom menus and templates, project management, highlighting syntax for easy readability, and much more. Web development is a wider area that needs some essential tools along with advanced tools for efficient output. In the world of evolving technology, you need to be fast, efficient, and capable of producing top-class results. These HTML editors make sure that you not only create the best web applications in the business but also save time. So, get your hands on one of these best HTML editors for Windows and build the best website in the business.